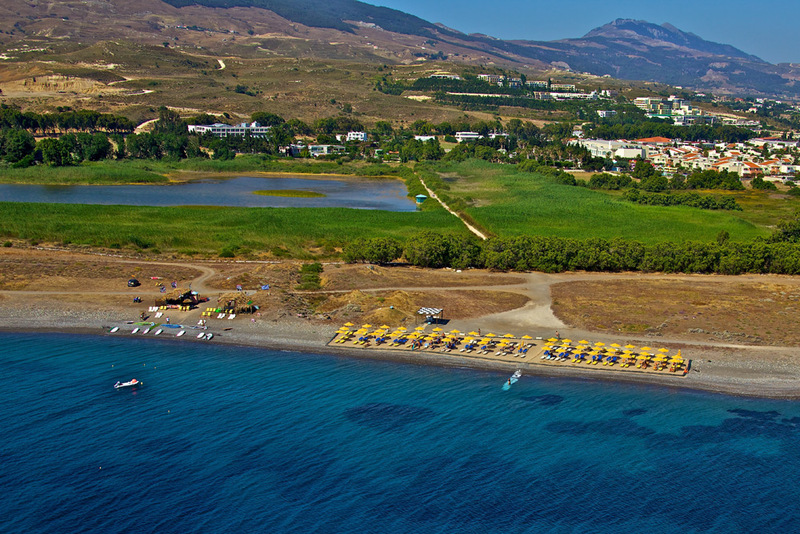 Our organized beach is a short walking distance on a path through a wetland. 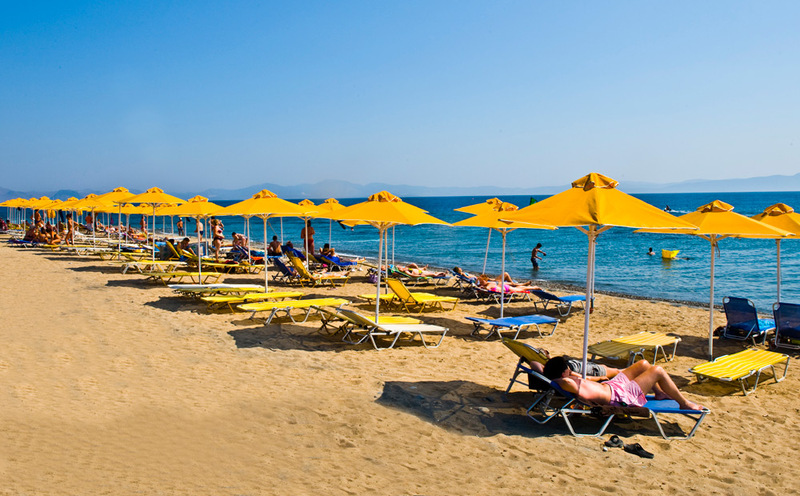 There we have a kiosk serving soft drinks throughout the day. 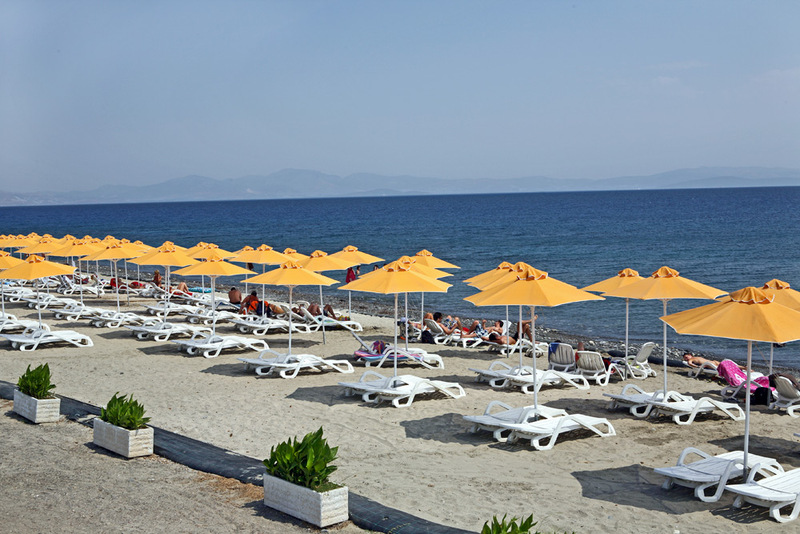 The sun beds and parasols are free of charge for our hotel guests and they are situated in a private sandy area. 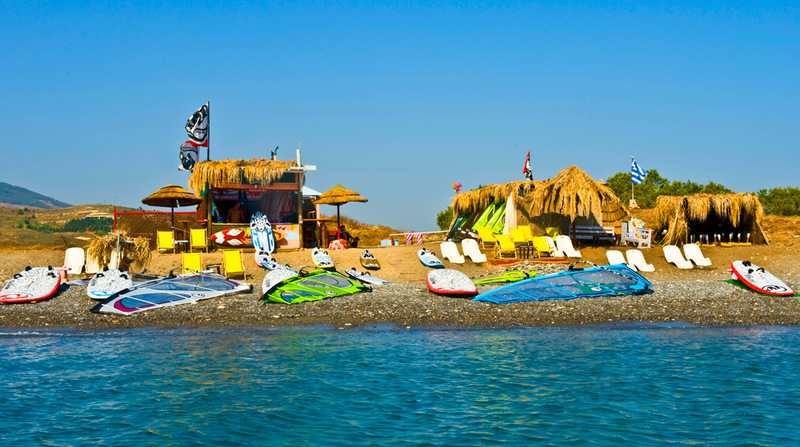 We also have co-operation with the surfing club “Wind Zone”. 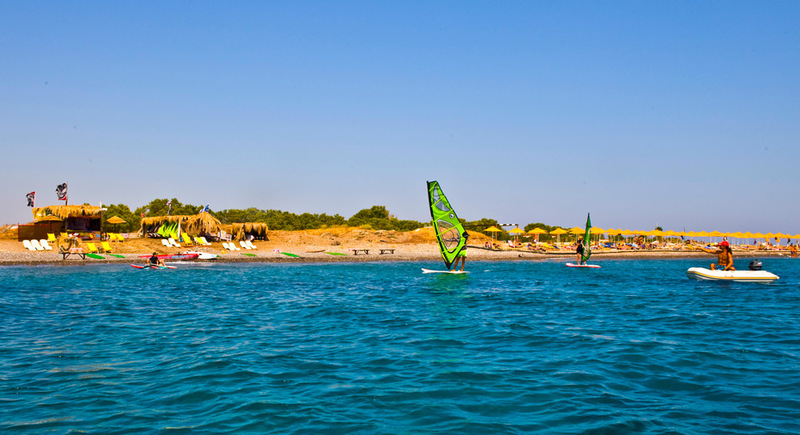 The club is located at a point where the wind becomes magical for the surfing and kite fans, at an absolutely stunning beach in the area of Psalidi near Kos Town. 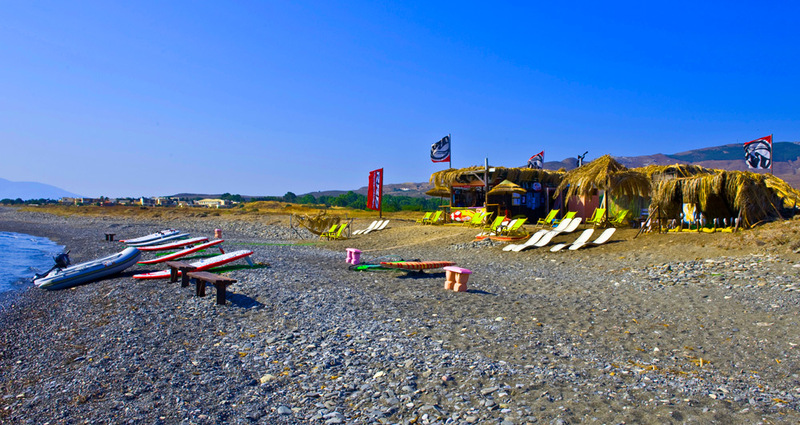 At a peaceful environment you can truly enjoy the rides on the surfing boards no matter what your surfing or kite skills are. 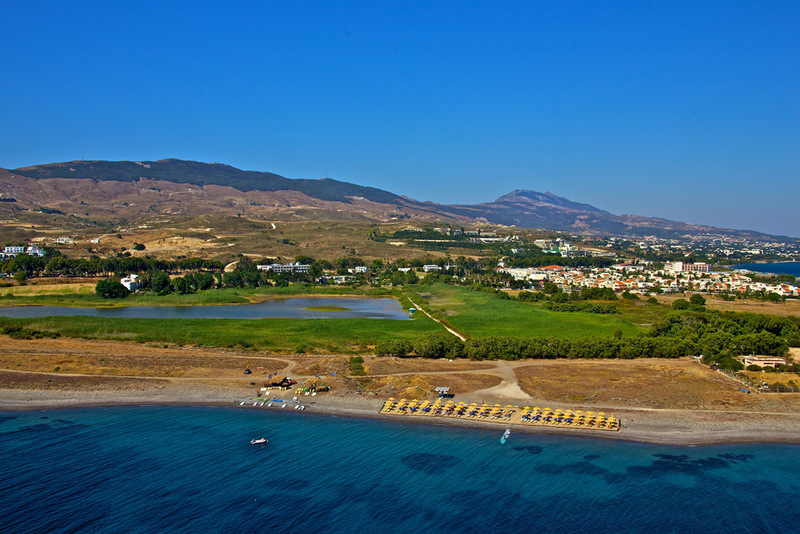 Enjoy surfing with all your heart in picturesque Greece with the infinite blue sky as a background. 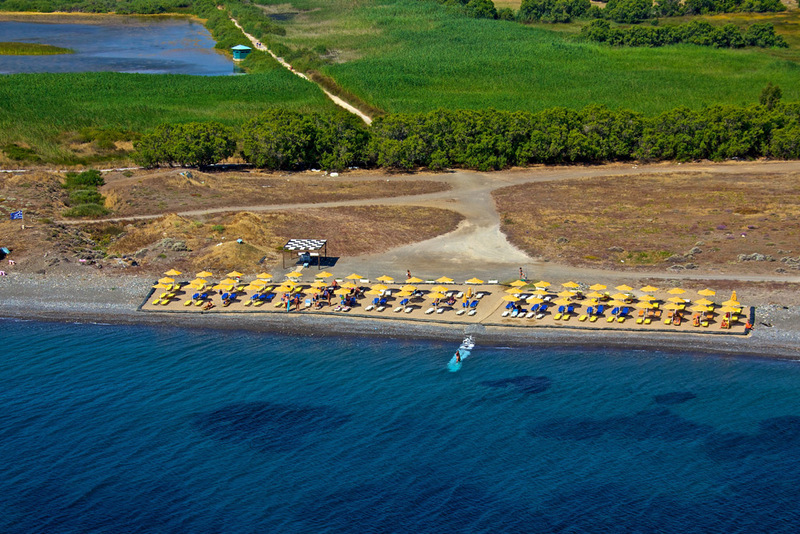 For rates and reservations you must contact the hotel reception desk.